Northumbria University, Newcastle has become one of the first universities in the UK to launch a radical new programme in which students spend two years establishing and running their own business. The new Entrepreneurial Business Management programme, offered by the University’s Newcastle Business School, sees students studying on campus for their first year, developing an understanding of the core business disciplines whilst honing their business ideas and plans. They then move to the Northern Design Centre in Gateshead where they spend the next two years running businesses in teams. The scheme provides an experiential learning environment in which to embed their learning and enables them to graduate with unique knowledge, skills and behaviours. The programme, based on a philosophy developed by Finland’s Jyväskylä University of Applied Sciences, aims to equip students with the skills, confidence, contacts, experience and reflective ability required to establish and develop a successful business. Students will work as part of a team to run their business and will be coached, rather than lectured, by their tutors during the two years of establishing and running a business. Links with business and industry will provide additional support. Yorkshire Bank will offer free business banking facilities, mentoring and sectorial advice. Watson Burton LLP law firm will provide legal advice and mentoring support, as well as access to space in its Newcastle, Leeds and London offices for meetings. The North East Chamber of Commerce will offer free membership to the students while they are running their business. Gillian Hall, Senior Partner from Watson Burton LLP, said: “We are delighted to support Northumbria University in launching this pioneering programme. 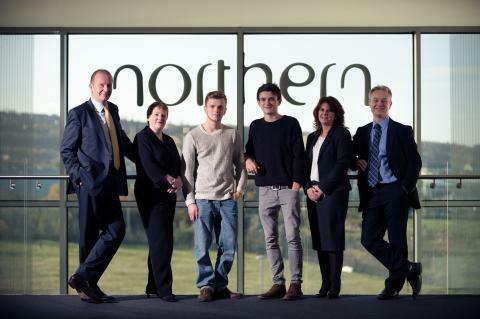 The skills obtained by students will not only have long-term economic benefits for the North East, but also for the wider economy once students complete the course. For further information about the Entrepreneurial Business Management degree, sign up to visit Northumbria University’s Open Day on Saturday 30 November at www.northumbria.ac.uk/openday. Student start-ups will be given a new boost after the launch of an enterprise and innovation fund at the UK’s number one university for graduate businesses. Successful businesswoman and Northumbria graduate Jo York returned to the University recently to help mark Global Entrepreneurship Week. A Northumbria graduate has received a national award for her business which specialises in providing marketing support for small businesses in the rural Northumberland area. 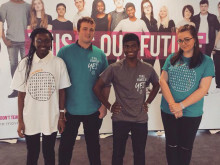 Northumbria Business student, Rob Austin, has been chosen to take part in the National Citizen Service’s (NCS) first national advertising campaign.